The species is widespread throughout most of Britain. It is widespread in western and central Europe. 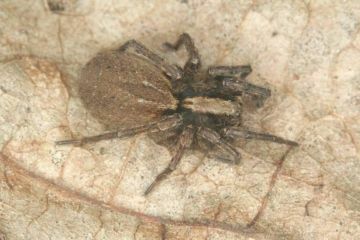 The spider is found in many open habitats, including heathland, grasslands, moorland, dunes and old quarries and pits. It ascends to considerable altitudes (over 700 m in Dumfries-shire) where unusually large specimens are often found (J. Newton, pers. comm.). Large and distinctively marked specimens have also been found in Orkney (P. Merrett, pers. comm.) and in Caithness. Adults of both sexes are found from spring to mid-summer, occasionally later.